Meriwether Lewis and William Clark visited Locust Grove together on November 8, 1806 upon returning from their historic expedition to the Pacific. Locust Grove is the only verified remaining structure west of the Appalachian Mountains known as a stopping point for Lewis and Clark. It was here that people at the Falls would have had perhaps the first opportunity to learn about what remains the greatest exploration venture in our county's history. George Rogers Clark, older brother to William Clark, spent the last nine years of his life at Locust Grove, from 1809 until his death in 1818. Learn more about Lewis and Clark and find events at Lewis and Clark in Kentucky. "Captains Lewis & Clark arrived at the Falls on their return from the Pacific Ocean after an absence of a little more than three years"
William Clark, youngest brother of George Rogers Clark and Lucy Clark Croghan, moved from Virginia to Kentucky with his parents in 1784. Beginning in 1789 he served in a number of military expeditions against the native Americans of the developing lands of the backcountry, including missions to contain the Creek and Cherokee nations and expeditions under Generals Scott and Wilkinson against the native Americans on the Wabash. He was commissioned as a first lieutenant in the 4th Sub Legion under General Wayne in March 1793. Returning to Kentucky in 1796, Clark lived with his parents at their Mulberry Hill farm near Louisville. When they died, he inherited the homestead but sold it to his eldest brother, Jonathan, in 1800 and moved to Clarksville, Indiana, with his brother, George Rogers Clark. 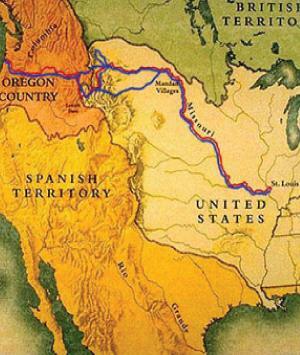 In 1803, President Thomas Jefferson commissioned Clark along with Meriwether Lewis to make a western expedition to establish an American presence in the far northwest; to investigate a water passage to the Western Sea; to map and investigate the new Louisiana purchase; to report the culture, commerce, and capabilities of the many native-American tribes of the area; and to observe and collect botanical and biological specimens. Members of the expedition assembled at Louisville, KY, in October, 1803, and moved on to camp above St. Louis for the winter. Upon reaching the native Mandan villages in present-day South Dakota, they acquired the services of Toussaint Charbonneau, a French trader, and his pregnant 15-year-old Shoshone wife, Sacagewea (Suh-COG-uh-wea), as interpreters. 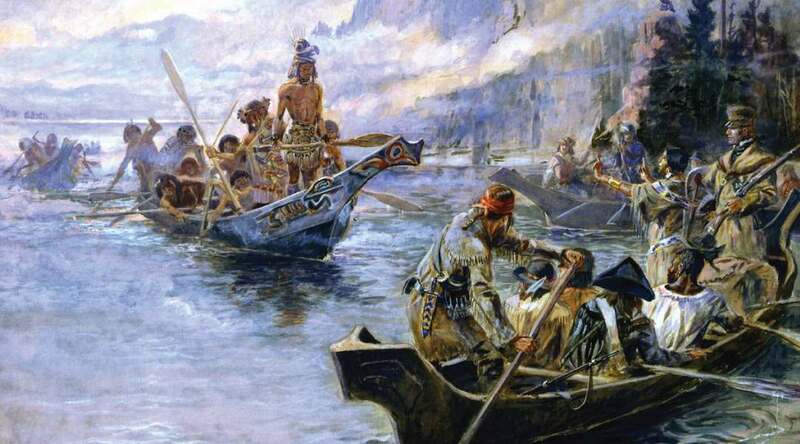 By June of 1805, Lewis and Clark and their party were at the Great Falls of present-day Montana and made a difficult 10-day portage around it. Obtaining horses from the Shoshones, they crossed the Bitterroot Mountains, went down the Columbia River to the Pacific Ocean in late November, and wintered at Fort Clatsop, Oregon. The expedition returned to St. Louis on September 20, 1806, to the astonishment of many who had given them up for dead months before. After disbanding most of the company, Lewis and Clark returned east in October, pausing for three weeks in Louisville and visiting Locust Grove on November 8th. Lewis then moved on to report to the President in Washington City where Clark later Joined him. 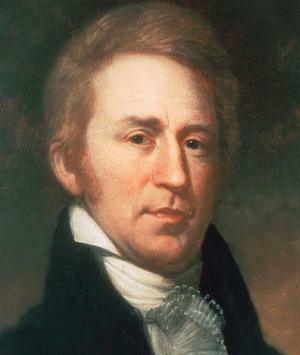 After Clark's marriage in 1808, he was appointed Indian agent at St. Louis. In 1813, he was made Governor of the Missouri Territory. In 1822, President Monroe appointed him Superintendent of Indian Affairs to establish and secure treaties with the western tribes. He died in St. Louis in 1838.